Customer suggestions drive new version of ChoiceView Agent with automatic screen pops, encryption, and local history saving. Contact center agents or representatives (reps) now find it even easier and more secure to send visual content, such as photos, diagrams, documents, or video snippets, while talking / texting with ChoiceView-enabled mobile callers. The award-winning ChoiceView platform allows mobile device users to simultaneously see, hear, and send information using ANY network, ANY phone. 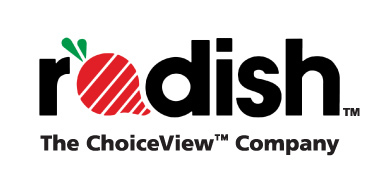 Radish Systems offers ChoiceView as a unique solution for contact center customers to improve mobile communications,” said Ted Baker, Presidio Vice President of Healthcare Solutions. “We have worked together to bring about some important new features. Radish Systems announces enhancements with version 2.0 for ChoiceView AgentTM. Contact center agents or representatives (reps) now find it even easier and more secure to send visual content, such as photos, diagrams, documents, or video snippets, while talking / texting with mobile callers using the ChoiceView App. The award-winning ChoiceView platform allows mobile device users to simultaneously see, hear, and send information using ANY network, ANY phone. ChoiceView Agent 2.0 is next-generation enterprise software that includes automatic rep screen pops, information encryption, local history saving, local file send, and more. Companies use ChoiceView to improve customer, patient, and technical support, add visual content to their interactive voice response systems (Visual IVR), and enhance mobile commerce – the result is reduced costs, increased revenues, and greater caller satisfaction. Enhancements to ChoiceView Agent. Enterprises can simultaneously send visual content to customers, patients, or field staff using mobile devices while talking/texting with them using ChoiceView. Agent 2.0’s new capabilities include: (1) a contact center screen “pop” capability to automatically establish a ChoiceView session between the rep and the caller based on Automatic Number Identification (ANI) digits, (2) encryption of caller-related information sent by the rep, (3) simplified manual searching for a caller if ANI digits are not available, (4) an optional smaller ChoiceView footprint on the rep's desktop, (5) a faster way for reps to access and send local files from their desktops, and (6) the ability to save a history of visual content sent to a caller during a ChoiceView session on the rep's PC as well as in the firm’s Customer Relationship Management (CRM) databases. These enhancements improve key contact center metrics, especially with complex transactions that require multiple visual and information exchanges. “We’ve been listening to our customers who want very specific solutions that best serve their mobile callers,” says Tom Colamonico, Radish Vice President of Sales. “Smart mobile callers expect and demand communications that are fast and easy at seamlessly combining visual and audio information. Radish offers unique solutions for our contact center customers, from small businesses to large enterprises, and continues to improve our products using feedback from our customers. Contact me for a quick “Now I see what you’re talking about!” demo. Free Webinars. Radish is offering free webinars, Using Radish ChoiceView to Enhance Mobile/Enterprise Communications, Increase Mobile Commerce with ChoiceView, and other topics, aimed at new and prospective company users. The webinars will demonstrate how ChoiceView works, its applications, how to use the mobile ChoiceView App, and ChoiceView Agent’s new 2.0 features. Subscribe to the Radish blog at http://www.RadishSystems.com to receive webinar dates and information. About Radish ChoiceView Agent. ChoiceView Agent software, which quickly installs on a Windows PC whether in a contact center or on remote representatives’ desktops, allows contact center reps and individual PC users to send visual content, including website pages, photos, diagrams, maps, coupons, receipts, documents, and snippets of videos to ChoiceView-equipped mobile device users. Reps can securely manage and save transaction history, including the information sent to callers, on their PC or in a central file. 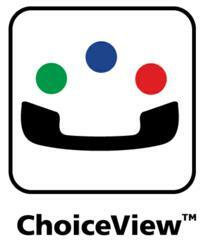 With the ChoiceView App, callers see and save visual contents for future use. Reps find that, when callers see and hear simultaneously, they understand and respond more quickly, whether they are purchasing a product, receiving technical support, or learning how to care for a chronic or post-hospital medical issue. Having ChoiceView allows contact centers to provide better service easily, cost-effectively, and quickly, with complete records and greater quality control. Radish Systems, LLC improves the way organizations communicate with smart mobile device users through its award-winning ChoiceView ‘Communications-as-a-Service’ technology platform. ChoiceView offers the next generation of multimodal unified communications, allowing visual information to be shared during a phone call with smart mobile device users using ANY phone, ANY network. The results are faster communications, lower operating costs, enhanced user experiences, and higher revenues. ChoiceView is available as a general mobile app on Apple and Android mobile devices; software for live and automated agents in enterprise contact centers as well as for individual PC users; and as a Software Developers Kit for inclusion in third-party mobile apps. Use cases include visual interactive voice response systems (Visual IVR), enhanced customer, patient, and technical support, and improved information exchange. 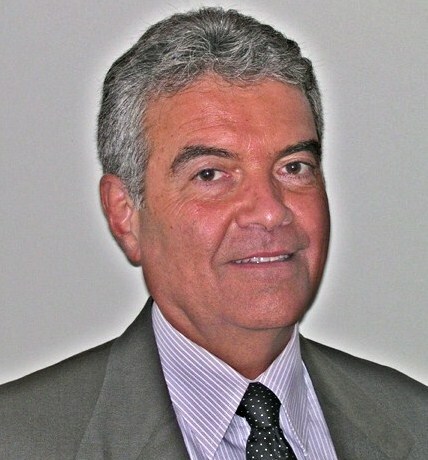 For more information and a demonstration, visit http://www.RadishSystems.com.